Click Fraud If you're using AdWords or AdSense you must have heard about an emerging practice in the underworld of computing called "click fraud". But what exactly is click fraud and how is it accomplished? Well AdSense uses a payment mechanism that awards a certain amount of money to a publisher (someone who holds an AdSense banner on their page) every time a person clicks on the said banner. So click fraud is the attempt to have people clicking the ads just so that they can earn a greater income. There are people setting up sites for the sole purpose of fraudulently generating revenue through Google's AdSense program. 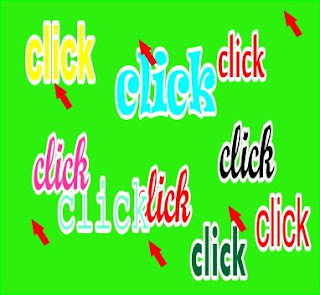 These users achieve an incredible number of clicks through many methods, some complex and sophisticated and some rudimentary and simple. One of the most complex is through the use of so called "hitbots". These are automated programs who emulate clicking the links in AdSense banners (there are some that actually click the banners as well). Google's AdSense protection scheme is by no means perfect and nearly anyone can find the details of surmounting the protection mechanism, ironically just by doing a Google search. Another, more rudimentary method is to hire a lot of people in a poor country to click the links on your site. This means these people will actually sit all day and just click links so you can earn a fortune. They come from very poor countries, and they're prepared to do so for just $0.50 an hour. Of course, there's a problem with this mechanism. Once Google receives a large number of clicks from a single address, the address and the site that had the AdSense banner will be banned, and the illicit behavior might even get the fraudster sued. To prevent this from happening, many people use a large number of proxy servers for the purpose of clicking. These are basically trojans, located on computers throughout the world (though mostly in the US). What's even more daunting is that these clicks will appear to originate from an actual computer so such scams are really hard to detect. And don't think this happens only in isolated instances. There is a great deal of illegal activity in this domain. In fact there's so much that if search engine companies don't increase their security with such programs as AdSense, such criminal behavior could become more become even more damaging. Google has a very strict policy regarding click fraud, and it has sued those employing such techniques in the past. But while the search engine giant tries its best to minimize the risk of click fraud there's certainly room for a lot of improvement. It is estimated that more then 20% of the clicks that follow an AdSense link are just done in order to get money from the person paying for the ad. Some people believe the number of fraudulent clicks to be even twice as large. There are a great deal more schemes involving click fraud, such as groups of AdSense publishers clicking each other's links (which is referred to as "clicking rings", or spamming people so that they click such links. Despite Google still holding click fraud on a leash, the phenomenon is certainly raising concerns for the advertisers on AdWords, but despite this advertising with Google's AdSense still remains more profitable for the advertiser, as opposed to traditional untargeted advertising schemes. There are some means of protection against such schemes and all advertisers should be savvy enough to employ them. Many advertisers choose to avoid the content network all together for fear of click fraud.